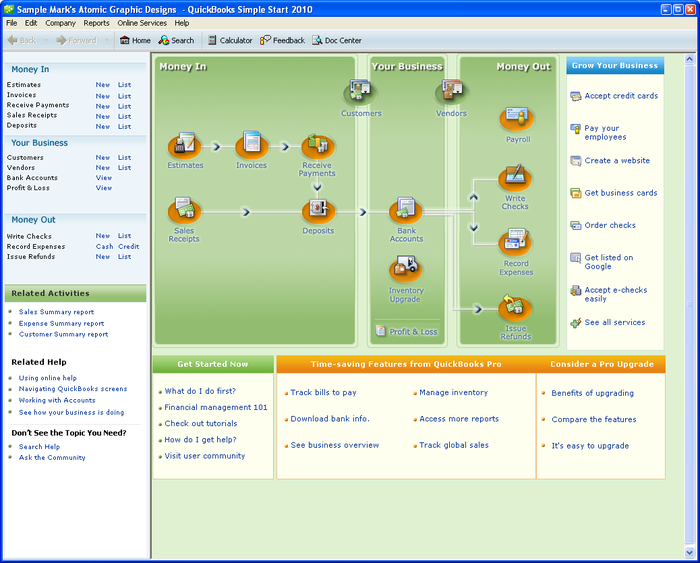 QuickBooks Simple Start is easy-to-use, free accounting software designed to help you manage your small business better. Simple Start makes estimating, invoicing, accepting payments, and keeping track of your finances quick and easy. Let Simple Start help you be ready at tax time, stay organized, and look more professional. Simple Start is for first-time QuickBooks users and can't import data from prior versions of QuickBooks Basic, Simple Start, Pro or Premier Editions, Quicken or Peachtree.